Milwaukee Tool Heavy-duty ship auger bit with 7/16-Inch hexagonal impact-rated shank, is ideal for 48 - 13 model power tool. It has 15-Inch twist flute to drill and remove drilled out material. It measures 18-Inch x 1-Inch Dia. This auger bit has 1-face 20-degree rake angle design that enhances nail resistance, chip removal and fast as well as easy sharpening. 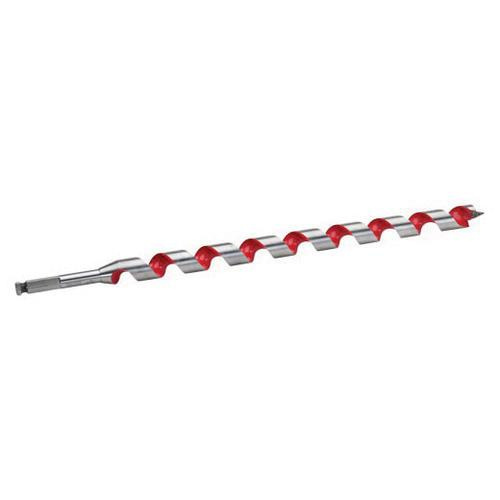 The non-stick, polished and coated flute of this auger bit offers fast chip removal.